PureApplication System is a system to help you manage resources in a cloud computing environment.PureApplication System uses workload patterns to create consistent, validated, and repeatable virtual applications within the cloud environment. Built-in expertise that captures what experts do, from infrastructure patterns to application patterns. Integration of hardware and software by design in a workload optimized system. Simplified experience that makes each part of the lifecycle easier, which means integrated management of the entire system and an open infrastructure of optimized solutions. Figure1 : Simple view of a PureApplication System. You can choose to use PureApplication capabilities on an integrated hardware and software PureApplication System, or with PureApplication Software on your x86 hardware. You can use PureApplication Software to design the infrastructure to your unique specifications. Infrastructure planning and configuration work must be completed before the installation of the PureApplication Software and must meet all prerequisites. Although you must adhere to the prerequisites, PureApplication Software provides flexible compute and storage characteristics so that you can define an infrastructure that meets your unique use cases. 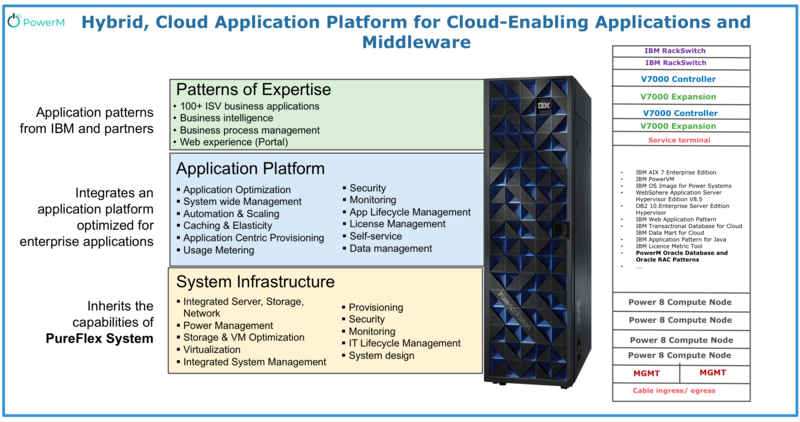 With PureApplication Software, you bring your own licenses for OS, hypervisor, and middleware. IBM PureSystems are built to include patterns of expertise. Patterns of expertise accelerate the time-to-value of applications, services, and business processes by encapsulating guidelines and best practices into a repeatable and deployable form. They can automatically configure, manage, and optimize the elements of a solution, from the infrastructure resources up through the middleware and applications. Patterns of expertise represent the knowledge and experience that is gained over decades by IBM while optimizing the deployment and management of thousands of data centers, software infrastructures, and applications around the world. They are categorized in three types, one for each service layer: infrastructure patterns, platform patterns, and application patterns. 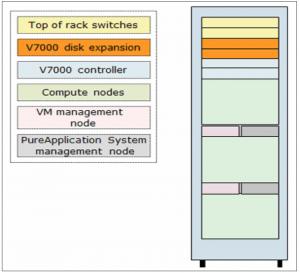 Figure 2 : The relationship between the patterns and IBM PureSystems products. Efficiently manage, maintain and operate deployed application environments. Execute repeatable patterns for fast, seamless and reliable deployments.